Our event is sold out! See everyone for dinner and wine Saturday Night! 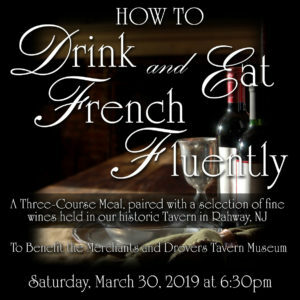 Enjoy a Three-Course Meal Paired with a Selection of Wines, all while supporting a wonderful cause: The Merchants and Drovers Tavern Museum. If you ever wanted to go to France but aren’t able to make the trip this season, we’ve got a solution for you! Please join us at the Museum for an evening in France for a fraction of the cost. 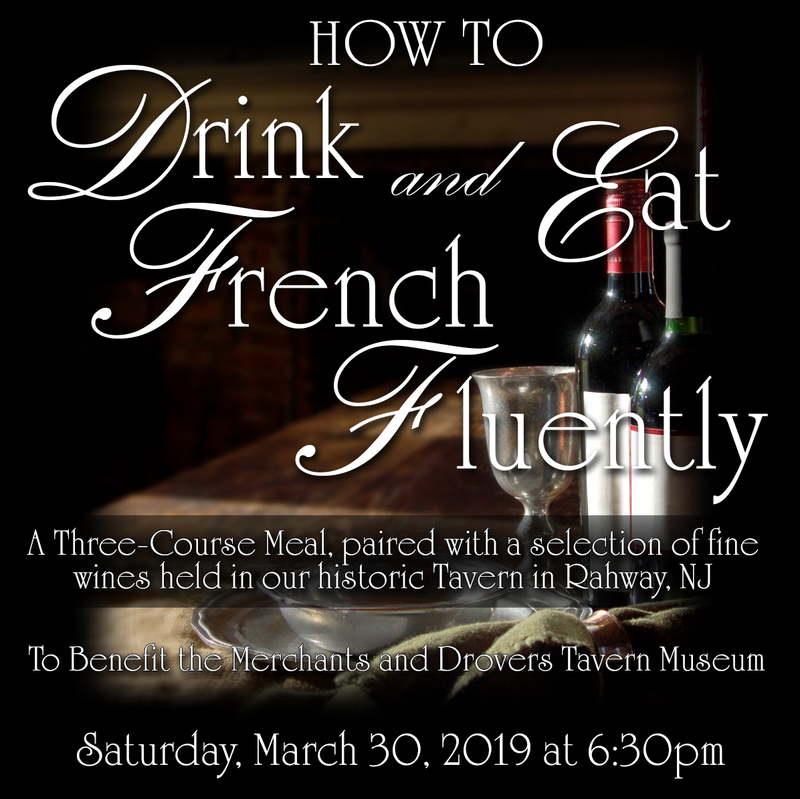 Your donation of $100 to the Merchants and Drovers Tavern Museum includes a seat at the table to enjoy a selection of 5 wines, as well as a 3-Course Gourmet dinner. This intimate event, limited to only 35 people, will have a professional sommelier to help with pairing and answer any and all questions about the wines you will be tasting. 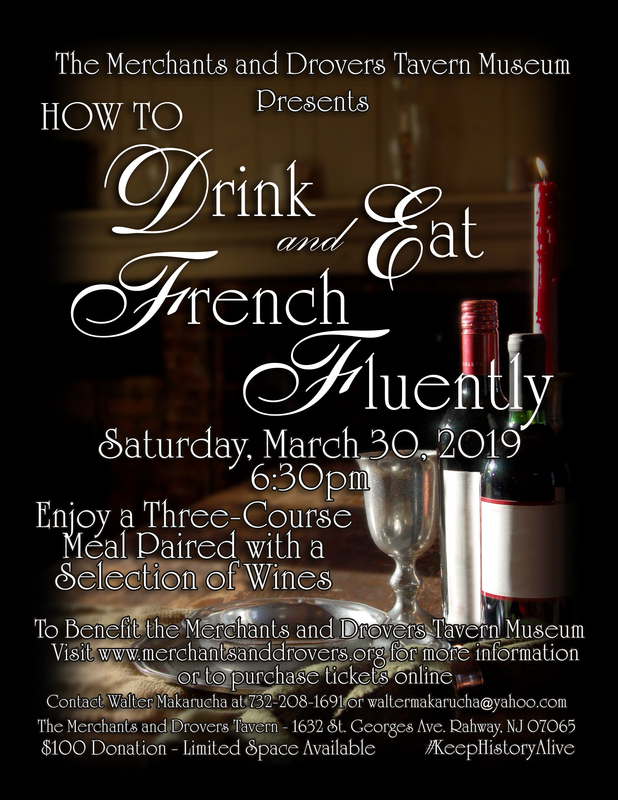 It will be a delicious and enlightening dinner experience, and you can enjoy it knowing you are also supporting our Museum, and helping us to keep our history alive. JUST ADDED! Live music performed by The Hub Kings! We’ve finalized our menu and wine list! Yes! 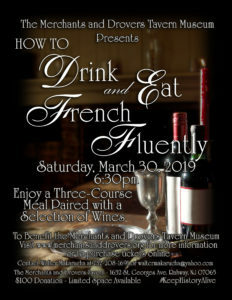 I’d love to learn how to Drink and Eat French Fluently!